We came home from dinner and I looked in the sky and said what are those four bright lights in the sky all in a straight line? Then they started tot around and then got back I formatik . I thought this was crazy and unusual and asked my daughter to film it. 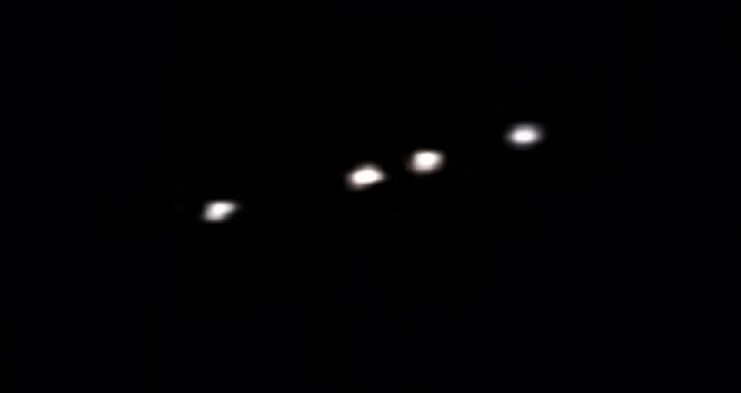 Many lights and shaped cams out of these four lights and then they formed a straight line again. This went on for about ten minutes. We felt dizzy and light after the sighting . And felt very weird, hard to explain. This case is under investigation by Ken Pfeifer, Chief Investigator MUFON New Jersey.